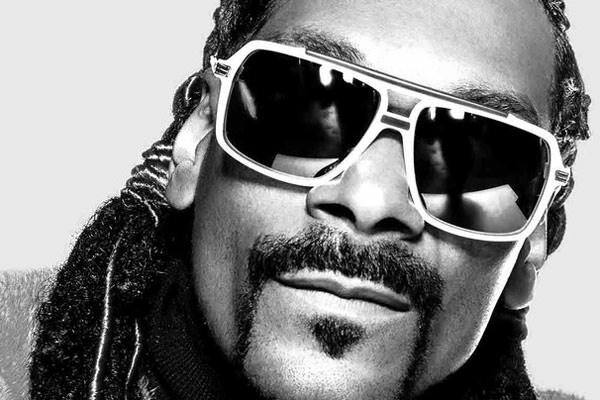 When Snoop Dogg first crashed the scene, he was a gansta rapper who would occasionally rap about smoking marijuana. Since then, he has developed into a family man and a mainstream celebrity. He still won’t give up the weed, though. The more things change, the more they stay the same. Now, before I delve into the aspect of this topic, I want to discuss the origins of the phrase as well as its meaning. Who First Said, ‘The More Things Change, the More They Stay the Same’? The phrase as we know it was adapted from the French phrase, “plus ça change, plus c’est la même chose.” And the French phrase was originally found in the epigram of in the January 1849 issue of Les Guêpes (The Wasps), a journal by Jean-Baptiste Alphonse Karr. The phrase literally translates to “The more it changes, the more it’s the same thing” (Wiktionary). By the way, Jean-Baptiste Alphonse Karr was a French critic, journalist, and novelist. Another famous phrase from his Les Guêpes was “Je veux bien que messieurs less assassins commencent” (“Let the gentlemen who do the murders take the first step”). This was a commentary against the proposal to abolish capital punishment (ITA, Wikipedia). It depends on someone’s perspective, but the phrase is very versatile — as long as the person using the phrase doesn’t take it too literally. When I asked my mother what she meant when she used the phrase, I got this general understanding about human nature: We might see changes in attitudes and make progress here and there, but some negative attitudes persist. Many things remain consistent even as changes happen. The phrase is often said in a resigned or sarcastic tone. We move into a fancy new office, and still, the server crashes all the time. The more things change, the more they stay the same. In general, even as humans make advances, elements of the status quo are solidified. The key part of the phrase “The more things change, the more they stay the same” is that it “is often said in a resigned or sarcastic tone.” Basically, the change might be good, but the sameness usually causes disappointment. One of the first places I went to was a ministry website and the writer of the article I read hit on a few important things. Fr. Ron Gagné, M.S., of La Salette Missionaries, Province of Mary, Mother of the Americas wrote a very insightful post about people who long for “the good old days.” He started with an anecdote about his mother, who often said, “the more things change, the more they stay the same.” He also cautioned that “Those who do not study history are doomed to repeat it. While the friar wasn’t saying that there was nothing new under the sun (who used quite a bit of idioms in this post), he wanted to point out that “there are many things that seem to reoccur in life,” regardless of the year (like 309 or 2011). The friar then transitioned to a quote from St. Augustine of Hippo from one of his sermons (Caillau-Saint Yves Sermon, 2, 92). In that Sermon, St. Augustine pointed out how the people of his time longed for days past while ignoring how difficult it must have been for the people living in those times. Why Did I Choose This Phrase? Often, I like to choose a phrase that is connected to holidays, commemorations, or current events. This post is no different for tomorrow is Martin Luther King Day. This holiday comes amid a discussion of recent comments made by the current resident of the White House. On Thursday, January 11, 2018, U.S. President Donald Trump blew up during a meeting with lawmakers. The discussion was about immigration and in particular, protecting foreign nationals who were given stays in the United States under the temporary protected status (TPS) rules. Haitians were given TPS stays after the Haitian earthquake in 2011; Salvadorans were granted the status after the earthquake in El Salvador in 2010. At one point, as the prospect of including immigrants from African countries came up, Trump said that he didn’t want the United States to keep taking in people from “sh*thole countries.” Instead, he said he wanted to take in more immigrants from Norway or countries in Asia (Dawsey). This, of course, was not the first time Donald Trump has said or done anything that was culturally insensitive, let alone after he assumed the office. In the 1970’s, he and his father were accused of housing discrimination. They laid paid a settlement without admitting guilt. In the 1980’s, Trump took out ads calling for the Central Park Five (a group of four black youths and one Hispanic youth) to be given the death penalty. Even though they were later exonerated, Trump still views them as guilty. While on the campaign trail, Trump made a series of racist comments. In the same speech, he called for a wall along the U.S.-Mexico border. He later said the Judge Gonzalo Curiel could not give him a fair trial (for the Trump University case) because the judge was Mexican. He repeatedly spoke of African-Americans as if they all lived in inner cities. He called for a Muslim ban. In March 2017, he let it be known that he was unaware the not all welfare recipients were black (Salama). In November 2017, he reported said that all the Haitian refugees had AIDS and said Nigerians needed to “go back to their huts” (even though Nigeria is one of the most developed nations in Africa). Trump caught fire on the campaign trail in large part because of his bombast. And his (stolen) slogan supposedly made people long for “the good old days,” you know, before political correctness was a thing. Trump’s recent comments were bad not only because he was disparaging the nations he talked about but it was obvious that his views of the countries was carried down to the people who were born there. Basically, he views Haiti and the entire continent of Africa as terrible places (because of the people who live there). Never mind that other countries (including the United States) often had a hand in making many of those countries miserable places to live. Haiti was hurt after the slave rebellion there. While some Americans, like Alexander Hamilton, sided with the slaves, the U.S. government and other governments conspired to shut out Haiti monetarily. Haiti was hurt again after much of the $10 billion raised for earthquake relief went to vulture capitalists. African countries hurt by colonialism, even after the end of the Trans-Atlantic slave trade. Yes, many of the countries there were run by oppressive dictators, but after European countries like Great Britain, Germany, and France invaded, they effectively severed the normal ties African leaders had with their people (Iweriebor). The continent is still beset by war brought to it by other countries, including the U.S.
As you can see, even as the times change, the bigoted attitudes persist. The more things change, the more they stay the same. Dawsey, Josh. “Trump derides protections for immigrants from ‘shithole’ countries.” The Washington Post. 12 Jan 2018. Web. Retrieved 14 Jan 2018. <https://www.washingtonpost.com/politics/trump-attacks-protections-for-immigrants-from-shithole-countries-in-oval-office-meeting/2018/01/11/bfc0725c-f711-11e7-91af-31ac729add94_story.html?utm_term=.9bcfded9313d>. Gagné, Ron., Fr., M.S. “The More Things Change, the More They Stay the Same.” La Salette Missionaries. 2011. Web. Retrieved 14 Jan 2017. <https://www.lasalette.org/reflections/390-the-more-things-change-the-more-they-stay-the-same.html>. Harthorne, Michael. “New Reports of Racist, Insensitive Behavior by Trump.” Newser. 13 Jan 2018. Web. Retrieved 14 Jan 2018. <http://www.newser.com/story/254059/new-reports-of-racist-insensitive-behavior-by-trump.html>. Iweriebor, Ehiedu E.G. “The Colonization of Africa.” Africana Age. Schomburg Center for Research in Black Culture. The New York Public Library. Exhibition. <http://exhibitions.nypl.org/africanaage/essay-colonization-of-africa.html>. “Jean-Baptiste Alphonse Karr.” Encyclopedia Britannica 1911. Adapted by Information Technology Associates (Theodora.com). © 1995-2011. Accessed via the Web. Retrieved 14 Jan 2018. <https://theodora.com/encyclopedia/k/jean_baptiste_alphonse_karr.html>. Salama, Vivian. “Trump’s history of breaking decorum with remarks on race, ethnicity.” NBC News. 12 Jan 2018. Web Retrieved 14 Jan 2018. <https://www.nbcnews.com/news/us-news/trump-s-history-breaking-decorum-remarks-race-ethnicity-n837181>. Sit, Ryan. “Trump thought only black people were on welfare.” Raw Story (reposted from Newsweek). 13 Jan 2018. Web. Retrieved 14 Jan 2018. <https://www.rawstory.com/2018/01/trump-thought-only-black-people-were-on-welfare/>. “the more things change, the more they stay the same.” Farlex Dictionary of Idioms. Farlex, Inc.; 2015. Retrieved 12 Jan. 2018 <https://idioms.thefreedictionary.com/the+more+things+change%2c+the+more+they+stay+the+same>. Various. “Jean-Baptiste Alphonse Karr.” Wikipedia. Last Updated 25 Nov 2017. Web. Retrieved 14 Jan 2018. 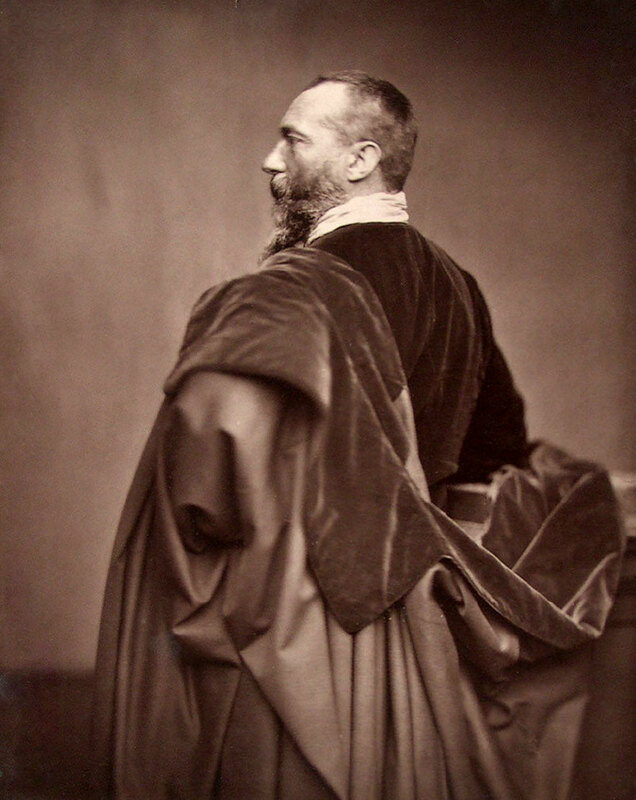 <https://en.wikipedia.org/wiki/Jean-Baptiste_Alphonse_Karr>. Various. “plus ça change, plus c’est la même chose.” Wiktionary. Last Updated 4 June 2017. Web. Retrieved 14 Jan 2018. <https://en.wiktionary.org/wiki/plus_%C3%A7a_change,_plus_c%27est_la_m%C3%AAme_chose>. Various. “the more things change, the more they stay the same.” Wiktionary. Last Updated 25 May 2017. Web. Retrieved 14 Jan 2018. <https://en.wiktionary.org/wiki/the_more_things_change,_the_more_they_stay_the_same>. Various. “What does ‘the more things change the more they stay the same’ mean?.” Quora. Web. Retrieved 14 Jan 2017. <https://www.quora.com/What-does-the-more-things-change-the-more-they-stay-the-same-mean>. I’m still chewing on this one, which is not to mean that I didn’t enjoy your usual thoroughness in researching/writing it. You do an awesome job with these sayings, which is much appreciated by me. It’s just a lot to digest, while also bringing up one thing in particular. There is not a horse and buggy in my barn. I don’t own a horse & buggy, and don’t have a barn either. Yet, women still get pregnant out of wedlock, and it seems they are getting younger and younger. Where has all the protection gotten them? Has it failed them, or have they failed it…again…and again?! Is this 2018 or isn’t it? Why, thank you. That’s nice to hear every now and then. Regarding your second point: You don’t have to feel the same way, especially since this saying is so versatile. There are many types of situations where things can change while some annoying minutiae will remain. When I was working on this post, I was clearly thinking about the types of negatives attitudes that persist among human beings. Since there was a story in the news that was connected, I wanted to discuss it. Please keep doing what you’re doing. It’s important to 🔨 out important issues by connecting all the dots! Interesting piece, I’ve always been interested in the origin of words and phrases. I enjoy your style of writing and especially like the way you include personal anecdotes along with the facts. I also really like the way that you include your source material. Very few journalists add their citations to their work, in the age of fake news, it’s very refreshing. Thank for the good read! Thank you so much for this comment. It made my day. It’s good to know that these posts interest those who read it, especially since they are among the most popular posts on this blog. By the way: I love doing these posts, but I am currently taking a break from posting them until early next year.